This week and next week there are a couple of nice planetary alignments. 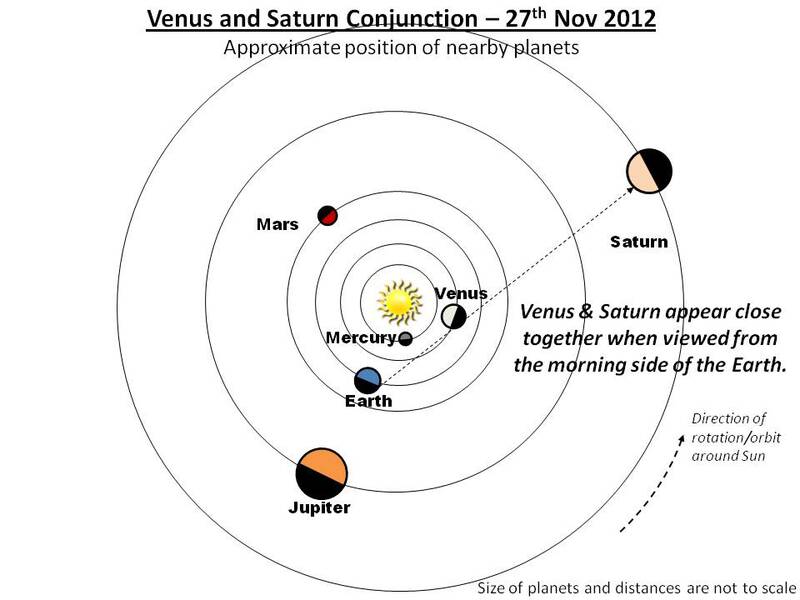 On Tuesday 27th November, Venus and Saturn were in conjunction meaning than Venus (the faster and closer of the two) moves in front of Saturn and begins to overtake it. 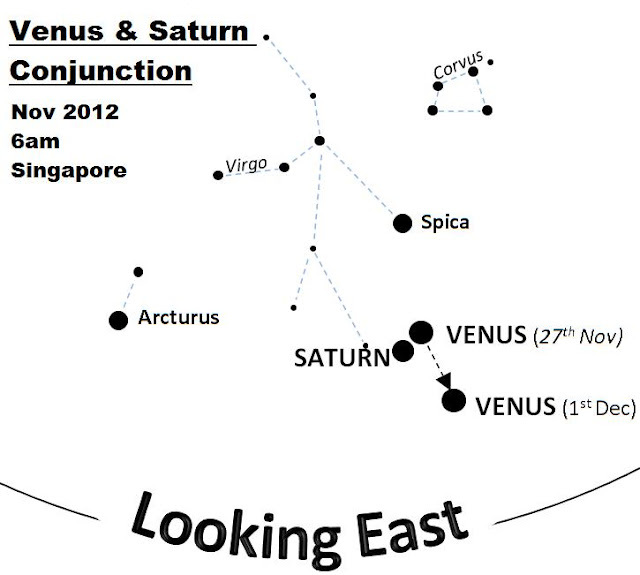 When viewed from Earth they appear very close together in the sky during the early morning (6am-7am). 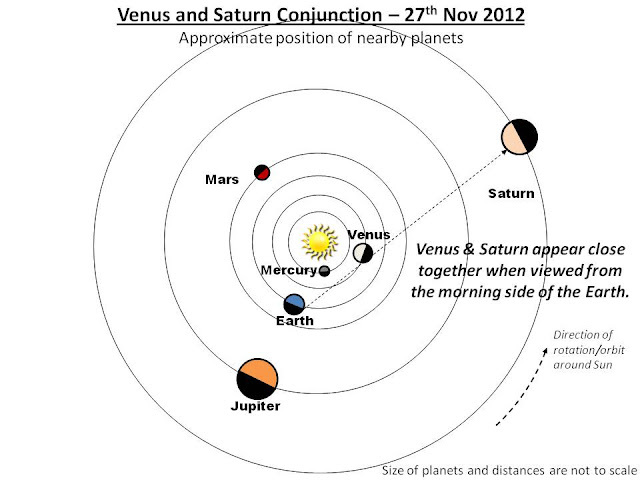 Each day moving further apart as Venus flies past Saturn, further away from Earth towards the other side of the Sun. I missed the actual conjunction on Tuesday morning, it was rainy, but managed to wake up half an hour early this morning (Wed 28th Nov) to take a few photos. Fortunately, it was very clear, apart from a bit of mist and hazy. I didn't have a large tripod handy so had to make do with a small portable one (which I got free at an IT fair). Had to hold it steady with my hands whilst lying down on the ground. Got a few curiosity looks from some passer by on their morning run. The photo turned out alright apart from a slightly elongated shape to Venus and Saturn due to the movement of the tripod. Next week is Jupiter's turn to align with Earth, in what's called opposition, where it will be at it brightest, but not by much compared to how it looks this week.